Why I loathe Christmas for what it does, not what it is. I always thought that the loathing I felt when the Christmas shopping period came around was due to my dislike of the pressure to ‘buy the right gifts’, my disdain for the crowds of hungry vultures fighting for the scraps in the bargain bins, the battlefield that is the shopping Centre car park or the rampage of acquirement gratuitously whipped up by the retail sector. These all are true, but this year I decided to question the feelings that my aversion to the whole process invoke. I remember many good times as a child during Christmas – getting together with family, singing carols, opening presents and not being at school. Like for most kids (the fortunate ones anyway), these are the memories that are formed during this period – all positive. So without some negative moment or painful memory, where did these feelings come from? At least some families don’t over do it come Christmas time . 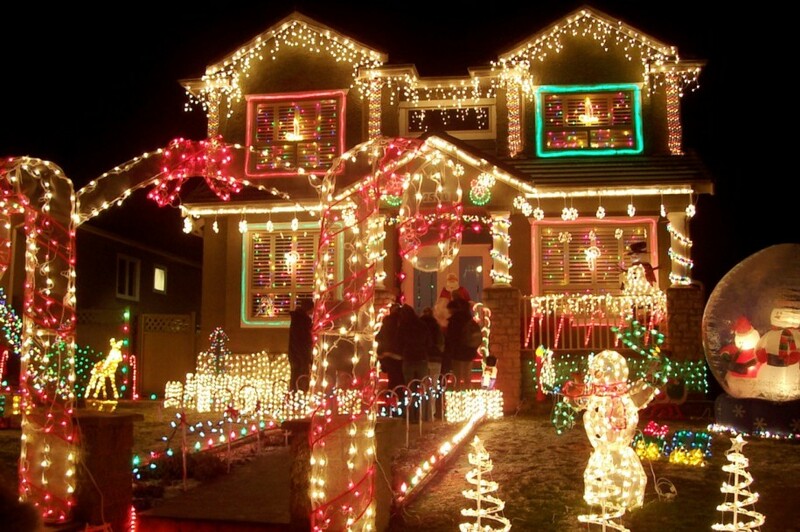 I have a friend that embraces Christmas ‘to the extreme’: the lights, decorations, blow up Santa’s etc. Christmas to him is a time that is not only for his kids but largely for his benefit also. As he has politely named me ‘The Grinch’, I asked him why he gets so involved in the season greetings to the point that it engulfs his whole consciousness. His answer wasn’t a defensive one, stating that he had some responsibility to his children or even his economic duty to keep the country moving… He simply said “My best memories growing up were during Christmas and I like to try to relive them every year”. A fair enough statement – perpetuating happiness is a goal we all strive to achieve. So why then do I not feel the same way? Am I not also trying to achieve the same goals? My 7 year old daughter (with the Catholic education that I provide) asked me a question this week that shows the blur that has been created between the religious tradition of Jesus and the mystical powers of Santa. She asked “If Santa can see me all the time, is he looking at me now?” Torn between my parental need to continue the ‘magic’ of Santa and my responsibility to reinforce the religious teachings of her schooling, I instinctively said “He’s not Jesus sweetie”. Then of course questions were asked along the lines of “Then how does he know what list to put me on?” and “I hope he didn’t see that time I got in trouble at school” – A confusing time for both parent and child. The lies become bigger and better as not to crush the Christmas miracle that Santa is so she can enjoy the magic of the jolly fat man while also remembering that Jesus birthday should be celebrated also. So at least until all of my kids’ reach the age that they realise that neither of these mystical beings exists – the pantomime continues. It is evident that for the economic reasons corporations adopted Charles Dickens modern Santa, the payoff for us citizens was the creation of a bargaining tool to keep our children obedient and out of trouble throughout the year. A lazy parenting style that most parents have adopted from time to time as our busy lives make it hard to discuss rationally with our children in a logical way – much easier to say “You don’t want to end up on the naughty list…” I guess it used to be “you don’t want to end up going to hell….” Other than our sanity, obedience stick and the weight in our wallets, what else do we give up in the Christmas payoff deal? Perhaps the system of compassionate unconditional giving – replaced by widespread greed and excess? I have discovered that my main dislike for the commercial Christmas institution and reason my feelings during these times are less than positive, can be summarised into two powerful words – Greed and Waste. Comforting to know these kids didn’t get spoilt at Christmas. Not only the obvious greed of corporations and their aggressive marketing departments, but the greed we see all around us in our personal circles. One of the biggest battles in my house has been the teaching of gratitude over greed at Christmas. The scene on Christmas morning of my kids tearing at wrapped presents – not even looking at who gave that gift, throwing the paper over their shoulders to get at what was inside was almost sickening. The act of flinging aside the less exciting presents like clothes and books to get to the ‘real’ presents epitomized the abject greed of the whole gift process. People talk of the magical look on children’s faces at Christmas – I think we need to look closer at what that face is telling us. The ‘one-upmanship’ of family and friends competing to get the better gift than the others (well, the more expensive one anyway) – a present giving competition in which the winner was declared as the giver whose gift was not tossed to the side but utilized at least until the end of January. Greed around the excessive consumption of food and drink to the point that most attendees ended up sprawled across a couch or bed with their top button undone, or passed out from disproportionate alcohol consumption after lecturing the children about how spoilt they are. The mass of food waste at the end of the table when people couldn’t fit in one more bite…. 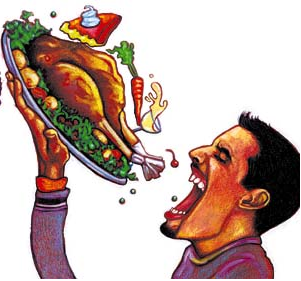 In modern times we participate in a holiday of greed and excess – of false worship and fake sentiment. This time to act entitled and ungrateful needs to come to a head. With the obvious inequity surrounding us in this global community – the greed needs to stop. The first step is to make the change in our own lives. I try to teach my children the true value of a gift is giving it, without comparing it to what you may receive. Sometimes the greatest gift can cost nothing as it is as simple as a smile or hug from those that love and appreciate you. I’m not saying that Christmas and Santa have to be banned, but we can attempt to slowly remove the ‘greed’ that accompanies it. These days Christmas in my house has changed for the better. Each child takes a turn in opening a gift and then thanking the person who gave it to them before they move on. With regards to gift from Santa, they now take the time to be grateful for it and appreciate the gift, remembering that many children aren’t opening gifts at all. It’s not an answer to a more altruistic season and nor am I an expert in unselfishness. Like all issues worth tackling, it has to start in our own lives and homes and within our own circles. Christmas can be a time to come together and celebrate each other without having to conform to any ideal society (commercialism) places upon us. That being said: Merry Christmas and a change filled New Year to all who follow us.